Welcome back for the 2019 Season! 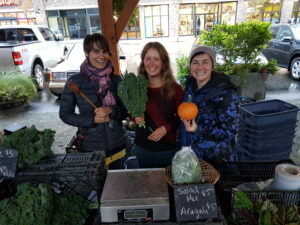 We are now accepting applications for the 2019 Season – 21 markets from June 7th to October 25th (3:00 – 6:30pm) in the Pemberton Downtown Barn. NOTE: Application deadline is March 31st this year as we would like to assist vendors in planning their 2019 market schedule. Applications received after the deadline will still be considered. See below for the NEW 2019 Application Forms. Please read through forms thoroughly as there have been a few changes over past years as we continue to grow our market. For information about vending for our 2019 season, check out our vendors information & programs below. Pioneer Program: Are you new to the Pemberton Farmers’ Market and wondering if our market is a good fit for you and your products? Try our new Pioneer Program, which offers one market date for free for first time vendors.